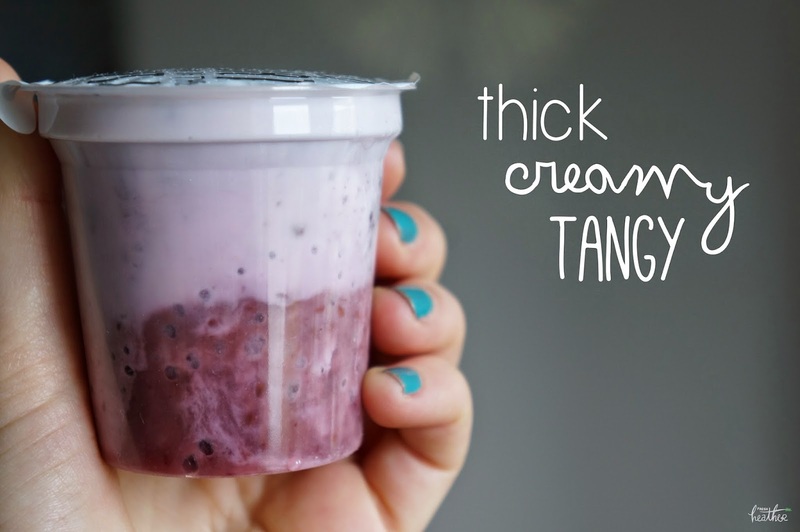 This yoghurt is creamy, tangy, delicious, sweet, VEGAN and just look at that packaging! 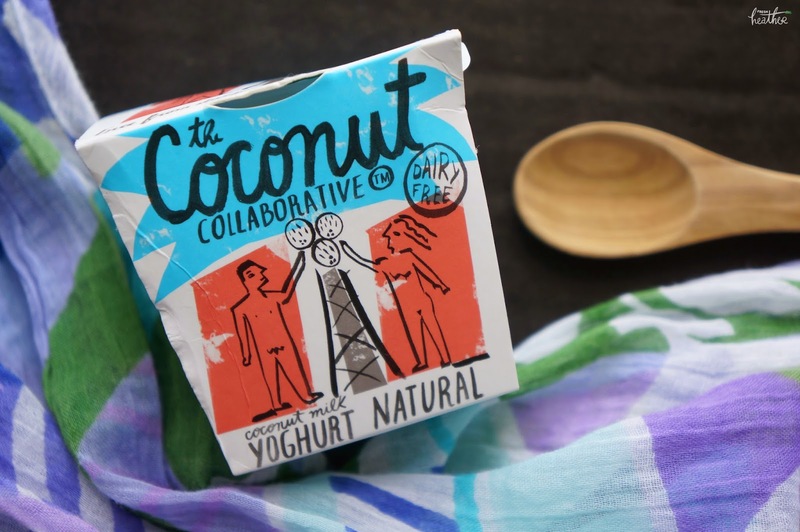 If you haven't heard about the Coconut Collaborative before, you MUST keep reading. 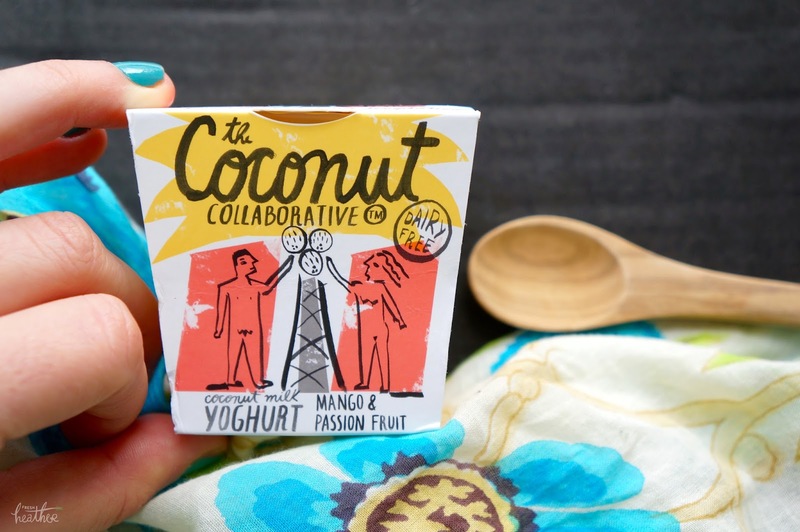 The Coconut Collaborative is a range of dairy free yoghurts, made entirely from coconut milk (and fruit compote in the fruity varieties)! The yoghurt is soy free, sugar free, gluten free, cholesterol free and vegan friendly. On top of all of this, it tastes delicious and is so good for you too! Juicy mango and passion fruit compote with thick and creamy coconut yoghurt. This was my favourite of the three I tried; I love the mango/ passion fruit yoghurt combo (this is always the flavours I go for in froyo)! 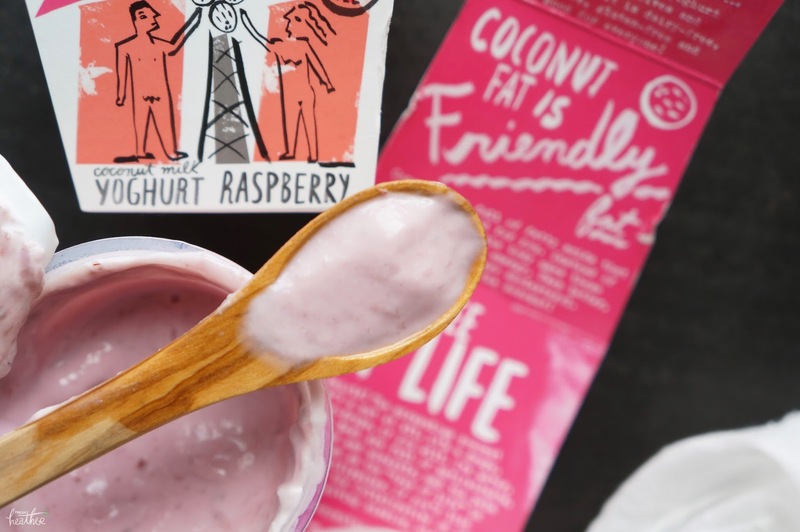 Sweet fruity but tangy raspberry compote with thick and creamy coconut yoghurt. I also love this combo...you can't really go wrong with raspberry compote! Plus it has all the added benefits of vitamins, minerals and antioxidants! 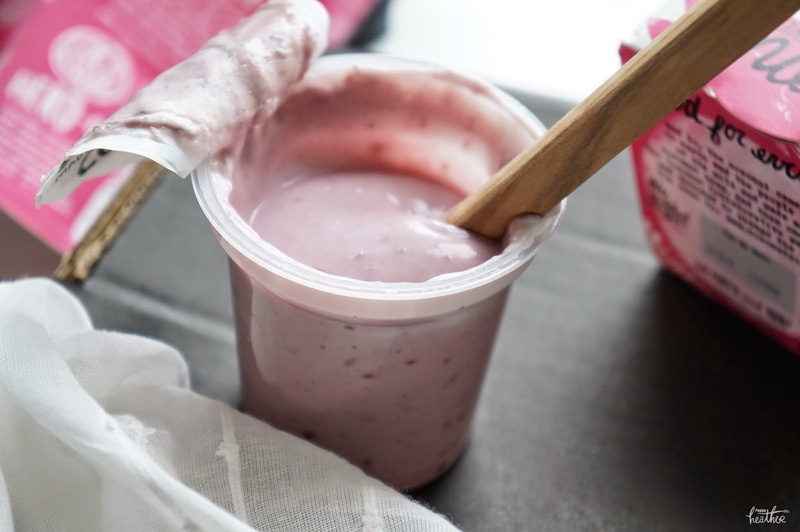 Plain thick and creamy coconut yoghurt - this can be subbed into practically every recipe; as well as sweet parfaits and desserts, you can use this one in savoury dishes too! (I used it for veggie curry in place of my usual coconut milk recipe; extra creamy and delicious)! Each different flavour has a very unique taste but all are united in the fact they are thick, creamy and pleasantly tangy! The fruity flavours have the sweet compote at the base and the creamy yoghurt on top; simply mix together when you are ready to eat*! 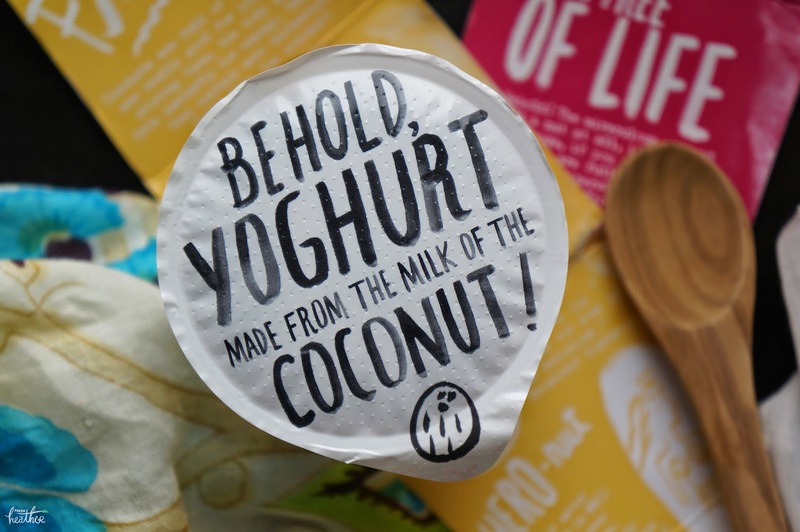 *The yoghurts should be left out of the fridge for ten minutes or so before eating to let the tiny coconut particles melt! As usual, I have to mention the packaging! I absolutely LOVE the style of the labelling. 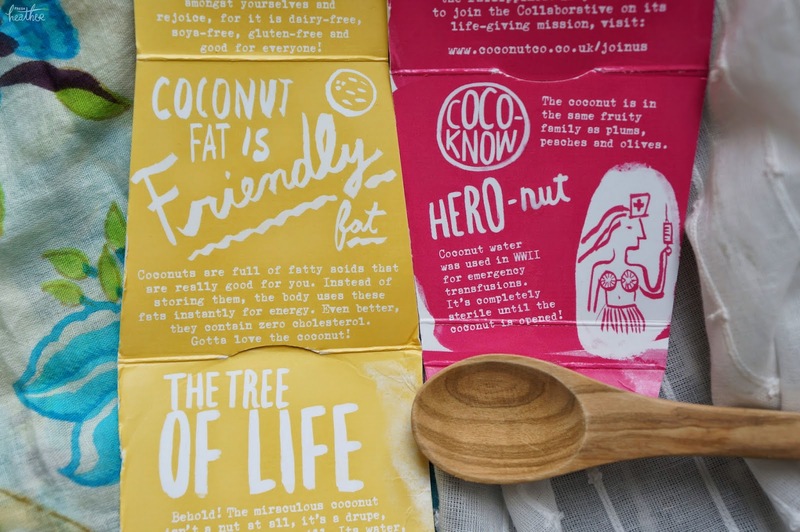 The hand-drawn text and imagery really portrays the friendly, organic nature of the brand and the way the informative text on the inside of the cardboard is laid out into a story makes you actually want to read it! - coconut fate is friendly fat - coconuts are full of good fatty acids (without cholesterol) which the body uses for energy. - the coconut, a drupe, is full of antioxidants, vitamins and minerals. 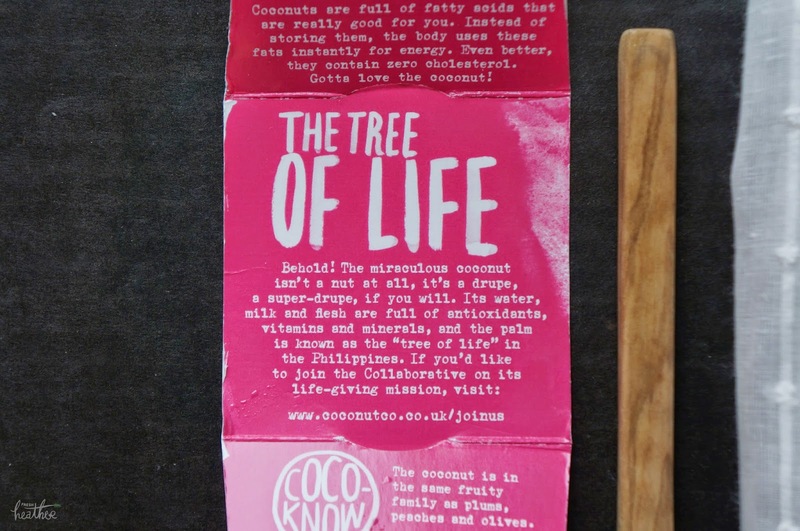 - this was a fun little fact on the packaging which i though i would share: "coconut water was used in WWII for emergency transfusions; it's completely sterile until the coconut is opened! 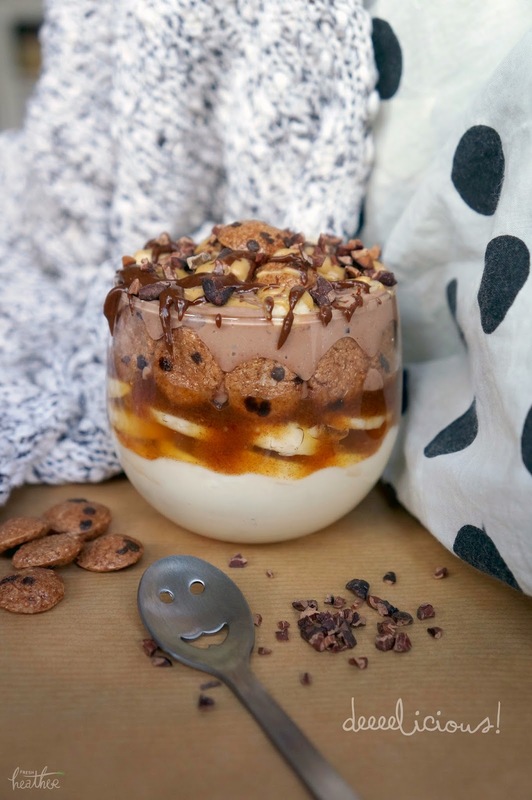 A couple of yoghurty parfait ideas! ...so good it deserves a name that long! This recipe is healthy enough for breakfast but delicious enough for dessert; literally heaven in a glass. I'll go through this layer by layer as it will make the recipe easier to follow! Third Layer: date caramel - soak 2 medjool dates in hot water for a couple of minutes, drain, mash and slowly add back in some of the water until you achieve a caramelly consistency. Topping: heat 2tsp smooth peanut butter (or almond butter) in the microwave/ over the stove until melted. Drizzle half of this over the parfait and mix 1/4tsp cacao into the other half before drizzling this over too! Top with cacao nibs to finish off. Bottom Layer: Oatmeal - combine 1/4 cup oats and 3/4 cup water in a saucepan, bring to boil and add 1/2 mashed banana. Stir continuously for 1 minute before taking off the heat and stirring in 1tsp Maca powder - 1/2 of this is for the bottom layer. Fifth Layer: Date caramel - 2 medjool dates soaked in boiling water, drain, mash and slowly add back in enough water until you achieve a caramelly consistency. 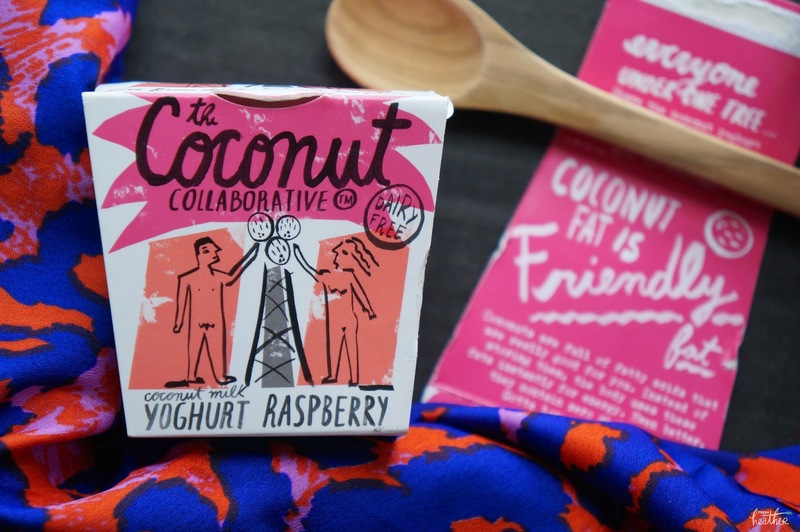 Fifth Layer: 1/3 tub coconut collab natural (or raspberry) yoghurt. Topping: 1 tsp melted smooth PB mixed with frozen blueberries and a bit of water. Finish off with mixed berries and cacao nibs! I added this photo to my google+ feed along with a few others and it randomly made this GIF which I thought looked cool! 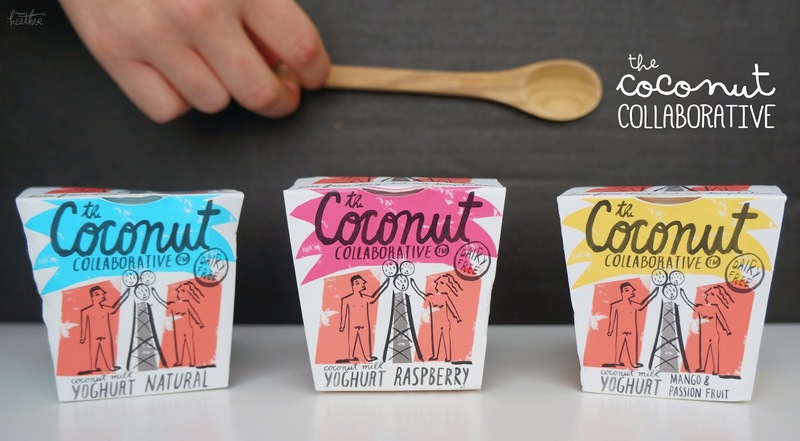 You can buy these yoghurts (in the UK) in Waitrose, Itsu and Harvey Nichols - there is a store locator here. Nice recipe, good food. Like to share it to oscars food festival.